All suites. All luxury. All on a Jet-setter destination. 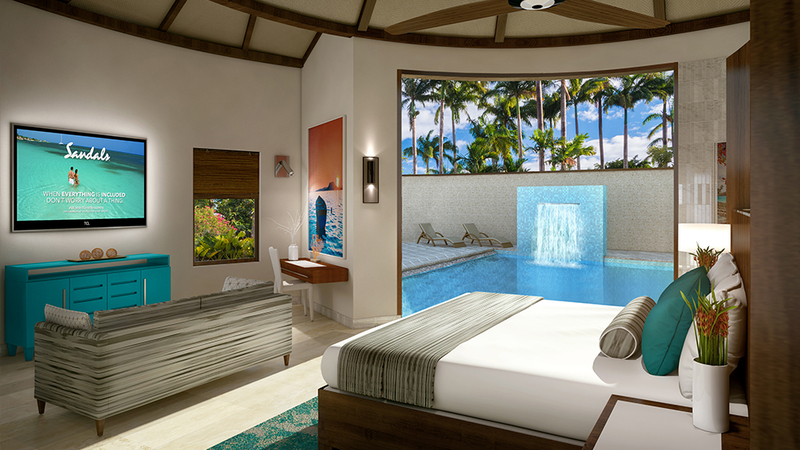 Experience the Royal Treatment at Sandals Royal Barbados. 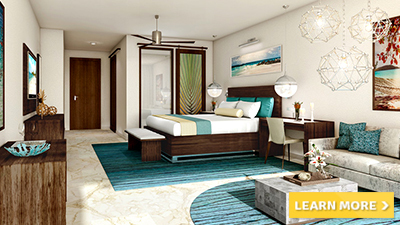 This innovative all-suite escape on the South coast of Barbados redefines all inclusive luxury. 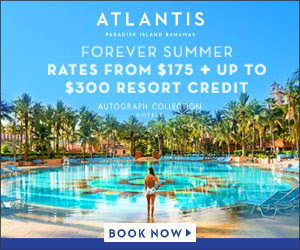 This all-suite travel destination features Sandals signature accommodations including Skypool Suites, Millionaire Suites and Swim-up Suites, all featuring Tranquility Soaking Tubs for two. Sail away and indulge in a wide array of all-inclusive water sports. With their top‐of‐the‐line equipment, professional staff and unparalleled tropical locations, you can choose to fly across the water ‐ propelled by wind, motor or muscle-power ‐ or dive beneath its pristine surface with it’s comprehensive scuba diving programs. At six world-class restaurants, a global team of master chefs cater to your endless culinary cravings in stunning settings that are on-the-beach casual or white-gloved chic. 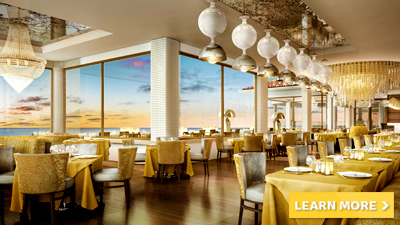 Sandals Royal Barbados features a fabulous rooftop restaurant and bar to two new restaurant concepts including the first Chinese-Japanese fusion restaurant. If you like to sit back and enjoy your favorite cocktail, you will find unlimited top-shelf drinks included 24/7 and served everywhere throughout the hotel. 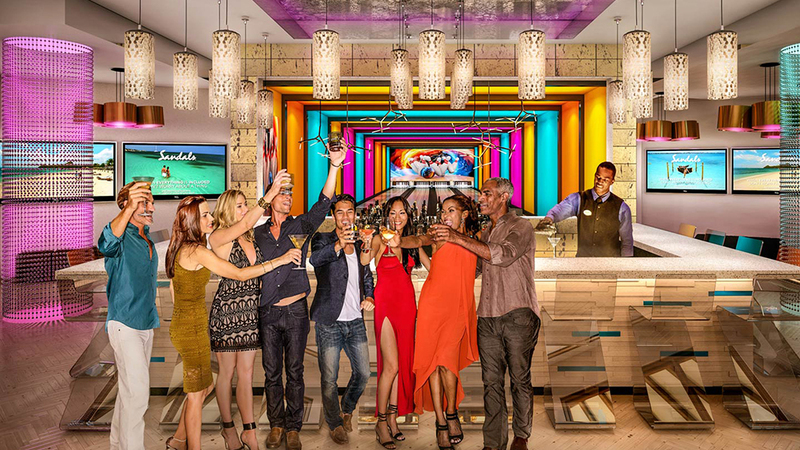 Kick back and enjoy Sandals Royal Barbados in signature style, including the first rooftop pool and bar, the first 4-lane bowling alley and the first men’s only barbershop. 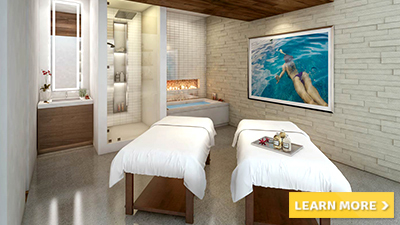 You can also discover a sanctuary for relaxation and rejuvenation at Red Lane Spa, where traditional treatments are provided with an island flavor. Unwind to the relaxed calypso beat, enjoy the sun and surf, and explore your luxurious suite designed with your utmost comfort in mind. 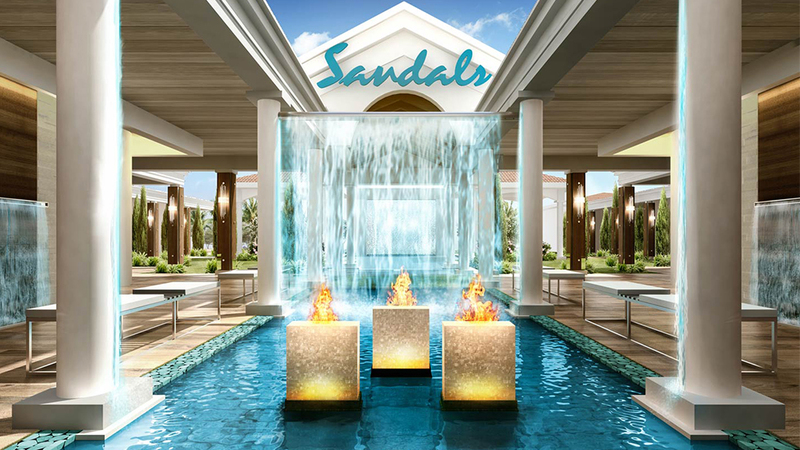 Sandals Royal Barbados constantly shines and invites you to experience a vacation like you never experienced before. 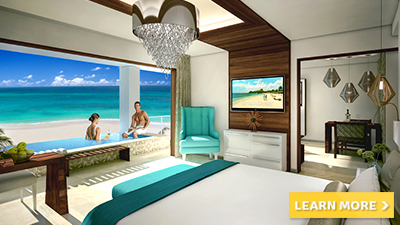 These magnificent beachfront Love Nest Suites are the pinnacle of luxury. The exceedingly romantic bedroom boasts a king-size bed with direct access to a private cantilevered Skypool with infinity edge, where couples can admire the stunning ocean while floating in the sky. Guests canenjoy personal butler service, 24-hour room service and VIP check-in. These spectacular beachfront Love Nest Suites are the pinnacle of luxury. The exceedingly romantic bedroom boasts a king-size bed with direct access to a private plunge pool where couples can admire the stunning ocean while soaking in privacy. Guests can enjoy personal butler service, 24-hour room service and VIP check-in. 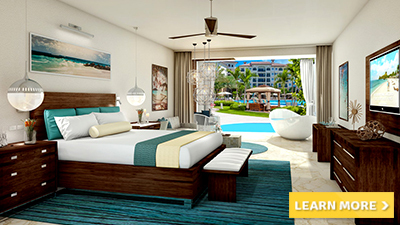 These marvelous beachfront Love Nest Suites boast a large master bedroom with a king-size bed. Guests can enjoy the personal butler service, 24-hour room service and VIP check-in. Sandals unique Rondoval Suites offer eternally romantic escapes. These exceptional Love Nest Suites® feature a soaring 20-foot conical ceiling, a custom mahogany king-size bed and a lavish private pool sanctuary. Surrounded by lush foliage, these private villas offer an exotic paradise that brings love full circle. Butler Elite and 24-hour room service included. 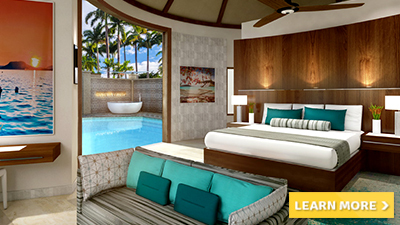 These exceptional swim-up Love Nest Suites feature an expansive patio with a private Tranquility Soaking Tub for two. Guests can enjoy a personal butler service, 24-hour room service and VIP check-in. 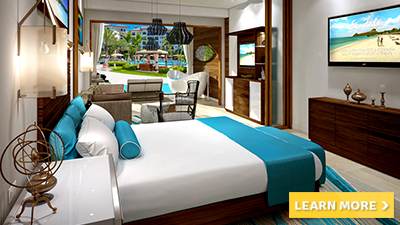 These exotic swim-up Love Nest Suites features a Tranquility Soaking Tub for two and zero-entry access into the Crystal Lagoon river pool. Guests can enjoy personal butler service, 24-hour room service and VIP check-in. 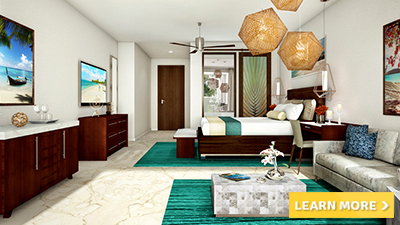 These exceptional Love Nest Suites® feature an expansive patio with a private Tranquility Soaking Tub for two. Guests will enjoy personal butler service, 24-hour room service and VIP check-in. These exotic, penthouse Love Nest Suites boast unmatched views of the sea. Guests will enjoy personal butler service, 24-hour room service and VIP check-in. These exotic, one bedroom Love Nest Suites boast stunning views of the ocean and feature a Tranquility Soaking Tub for two Guests enjoy personal butler service, 24-hour room service and VIP check-in. These spectacular suites boast a large private patio with circular Tranquility Soaking Tub for two and direct, zero-entry access into a Crystal Lagoon pool. These lovely suites boast a large private patio with circular Tranquility Soaking Tub for two and direct, zero-entry access into a Crystal Lagoon pool. These luxurious penthouse suites grant serene views of the ocean while boasting a private balcony featuring privacy curtains and a Tranquility Soaking Tub for two. 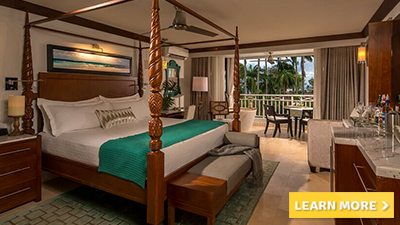 Guests can enjoy Club Sandals concierge services including private check-in, all day room service and access to the Club Sandals Lounge. These luxurious suites boast a private balcony featuring privacy curtains and a Tranquility Soaking Tub for two. 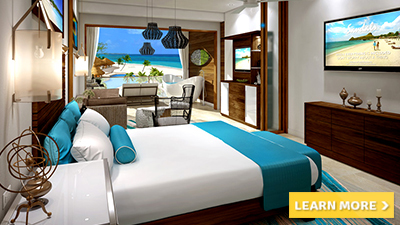 Guests will enjoy Club Sandals concierge services including private check-in, all day room service, and access to the Club Sandals Lounge. Enter this extravagant suite through a walkout patio, just steps from a serene Crystal Lagoon pool. The patio features a Tranquility Soaking Tub for two with privacy curtains and chaise lounges. Guests enjoy Club Sandals concierge services including private check-in, all day room service and access to the Club Sandals Lounge. These romantic Club Level suites grant serene views of the Crystal Lagoon pool and lush resort gardens. The balcony presents a freestanding Tranquility Soaking Tub for two, a chaise lounge, a bistro set for two and privacy curtains. Guests enjoy Club Sandals concierge services including private check-in, all day room service and access to the Club Sandals Lounge. These romantic Club Level suites feature a unique covered patio or balcony entrance. The balcony presents a freestanding Tranquility Soaking Tub for two, a chaise lounge, a bistro set for two and privacy curtains. Guests enjoy Club Sandals concierge services including private check-in, all day room service and access to the Club Sandals Lounge. 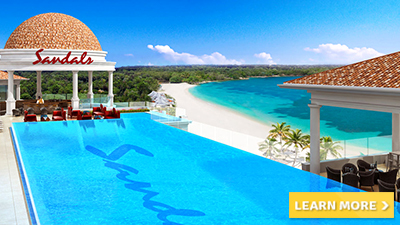 Overlooking the ocean from its rooftop setting, this zero-entry, glass infinity pool is a Sandals first. While its rooftop location makes it the perfect place to sunbathe, the surrounding lounge areas and rooftop bar are a great place to relax, cool off and take in the breathtaking vistas. 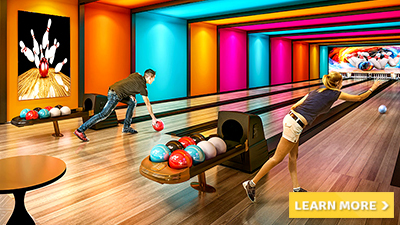 Lovers Lanes, Sandals first 4-lane bowling alley, features a colorful backdrop for a romantic evening of couples bowling. There are few places with better dive sites than the Caribbean. In fact, some of the world’s most renowned reefs, walls and wrecks are found in these extraordinary waters. 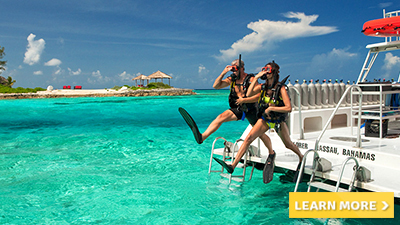 That’s why divers flock to this corner of the planet and it’s why Sandals offers one of the most comprehensive scuba diving programs anywhere. Take the time to let us envelop you in natural botanicals & you will feel renewed for a lifetime. 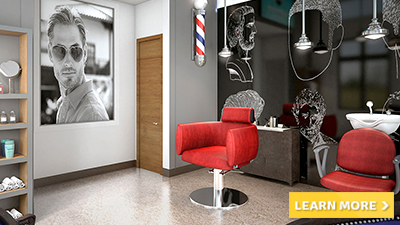 Your journey begins with a Red Lane Rejuvenation Specialist who is dedicated to creating an incomparable experience with a focus on CONNECTION, TIME and LOVE. Exercise in a group! 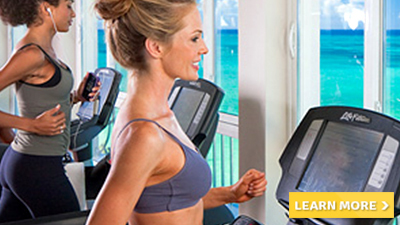 Rather than jump on a machine, get your workout by moving to the beat of your favorite songs. 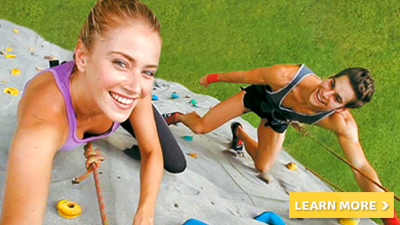 CERTIFIED and dedicated Fitness Professionals will lead you through a workout of a variety of movement combinations that exercise your muscles while you have fun in the sun at the same time. 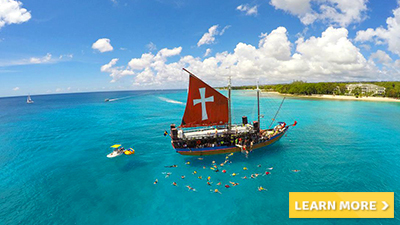 The best way to experience Barbados in full is to get up close and personal with it. A unique Caribbean paradise, that is actually two land masses merged together over the years. 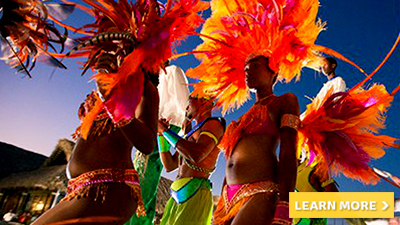 No matter what your speed, you’ll gain insider insights and a whole new perspective on this beautiful paradise. 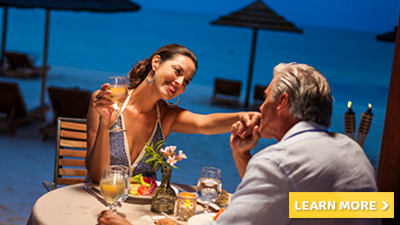 Celebrate your love with a candelight dinner for the two of you—on the beach, in a garden or even on your terrace. Your dedicated waiter will take care of all the details, so all you have to do is savor the romance. 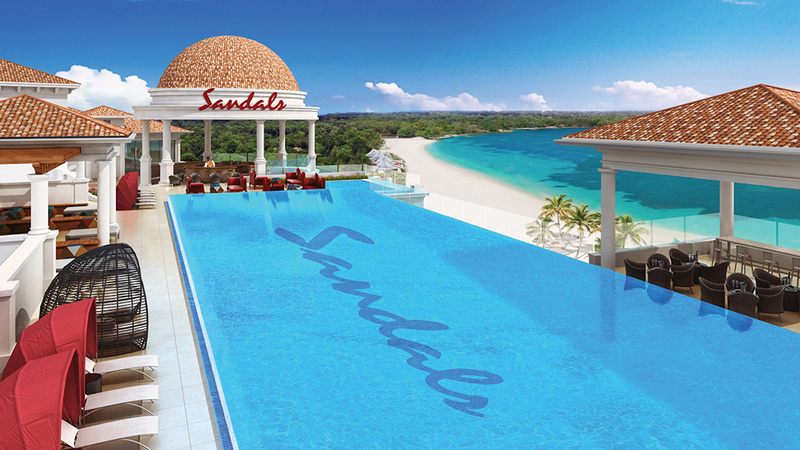 Since that fateful day Sandals Resorts’ Chairman opened his first resort, the name Gordon “Butch” Stewart has been synonymous with high-quality, luxury destinations. Making its debut against the stunningly beautiful Grenadian backdrop, our first-ever steakhouse, Butch’s Chophouse, serves up only the highest quality grain-fed Midwestern beef, hand-selected from top quality Black Angus and Wagyu steers. These are few meanings of the Chinese concept of chi, an ancient belief shared with its East Asian neighbors Korea, Japan and Vietnam. Nourishing one’s chi, or life force, is essential to maintaining good health. At Chi, they’ve created a unique concept that marries sustenance and the enjoyment of great cuisine with the importance of balance, harmony and wellness. Restore your life force at Chi. Many people believe Americans just eat hot dogs and hamburgers, but America has a rich, hidden culinary culture that lives in the hills and hollers of small towns across the nation. By uniting cultures from all four corners of the Earth, the American Melting Pot blended together many global cuisines, giving rise to some of the most unique, delicious regional comfort foods in the world. 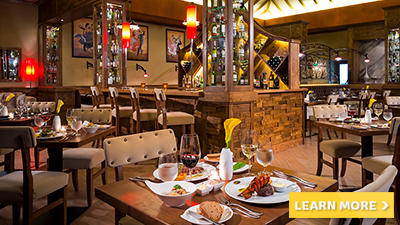 Discover the Spirit of France at La Parisienne, the perfect place to indulge in fine, French cuisine. 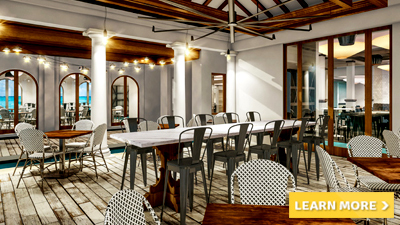 Revel in the contemporary ambience, delightfully progressive menu, and impeccable white-glove service.Dine indoors or outside on the terrace, surrounded by the lush tropical foliage. And with fresh baguettes on the table, the aroma of exquisitely prepared cuisine, and more than a hint of romance in the air, you just might forget for a moment that you’re not in Paris. Neptune, the Roman god of water and the sea, is one of the most well known deities of Roman mythology. It’s said that his powers are at the core of Neptunes, our Mediterranean seafood restaurant – and after dining here, you just might believe the old tale rings true. 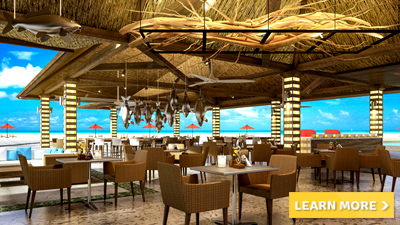 From the splendor of the rustic, open-air restaurant design, to the beauty of the turquoise sea, guests are offered a true, coastal Mediterranean experience directly on the beach, against the backdrop of the beautiful Jamaican Riviera. Discover Authentic Jamaican Jerk. Believed to have originated with Jamaica’s Arawak Indians, jerk cookery began as a preservation method. The Maroons of Jamaica, who once sought refuge in the island’s Blue Mountains, eternalized the Arawak’s ancient jerk technique by spicing or seasoning the meat, wrapping it in leaves, then placing it on hot rocks over a lattice of wood. This technique evolved with the use of different spices to the cooking style that we know today as Jerk. At the Jerk Shack, chefs apply the jerk cooking style using a marinade or paste that incorporates pimento (allspice) and scotch bonnet peppers. 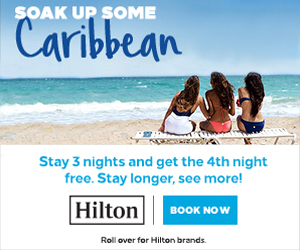 Opt to spend your Barbados all-inclusive vacation in a suite spot. 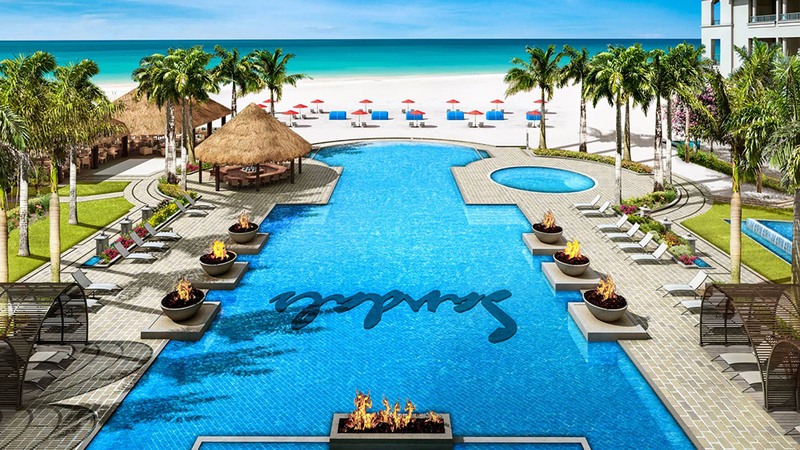 Sandals Royal Barbados sits along the beautiful St. Lawrence Gap area of Barbados, where the excitement of resort life and high-end restaurants mingle with the calm, glistening bay and picture perfect beaches. 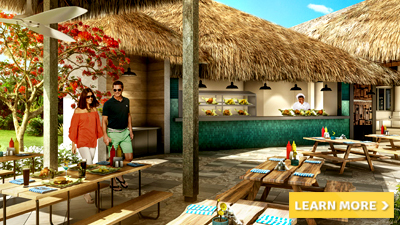 Here, Sandals’ newest getaway caters to the luxurious, high-end crowd. This 222 all-suite resort will also feature Sandals signature accommodations including the spectacular Skypool Suites, Swim-up Suite and Millionaire Suites. 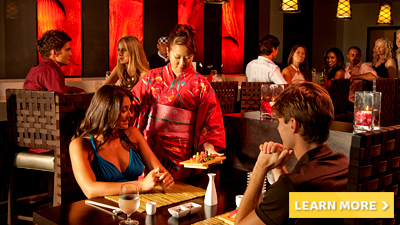 You will also discover world-class international cuisine at five restaurants and a 15,000-square feet spa. 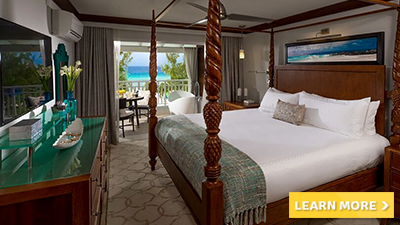 Magnificent ocean views, Butler Elite service and exclusive exchange privileges with neighboring Sandals Barbados define Sandals Royal Barbados.